. Published on July 18, 2017 . One phase of psychology, which I feel is often underestimated (at least in the general public), is termination: the last phase of psychotherapy in which the therapeutic process and relationship are coming to an end. 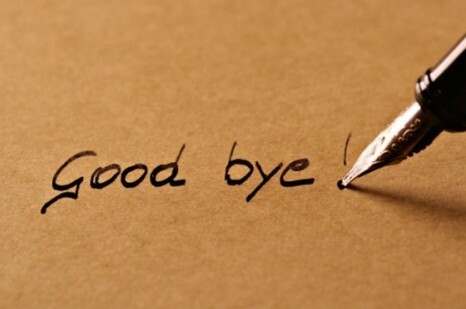 It is a stage of goodbyes, and the stage I can relate to right now. Over the next 1 1/2 month, I will complete my master’s degree. I will submit my thesis and say goodbye to the student life that I have known for the past 7 years (4 years of undergraduate studies and 3 years of graduate student experience). With the end of my student status, I am also saying goodbye to the graduate assistant position that I have held for the past three years, and the ambassador position I have had for the last two. It is interesting to observe myself in this process. On the one hand I am sad and also a little terrified that I have to leave this sheltered space. I am still doubting if I have the skills and abilities to be a dance/movement therapist, if I can survive by myself in that big world, and insecure about what the future might bring. On the other hand, I am thrilled to see where my path will take me. Working on my thesis helped me decide on a direction I want to take in my personal and professional life (more about that in a future post), so right now I am preparing the steps I have to take to move in that direction. I am further excited to see if the things that I have learned in my thesis will hold up and prove to be helpful and true in the “real world”. In that sense, I feel that my thesis prepared me to move on, but taking the first step still requires courage and actually taking action, both potentially uncomfortable. 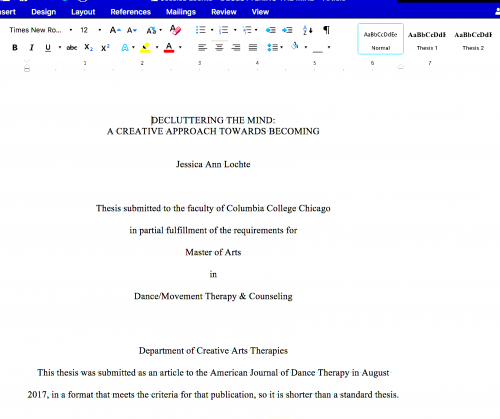 Hence, for my final blog posts as Columbia’s DMT&C ambassador, I want to take you along on this ride, navigating through the finals stage of my graduate program.